Simmer the carrots in salted water until soft, about 10 minutes; drain, reserving the liquid. In a blender, combine carrots with olive oil and marmalade until smooth, adding reserved cooking liquid until desired consistency is reached. Season with cumin, salt, pepper, and Tabasco. Add the orange juice, shallot powder, and nutmeg. Mix with the chopped cilantro then return to the pot to serve warm or place in the refrigerator to chill. Cut the focaccia into ½-inch squares; lightly toss with olive oil, salt, and pepper and place on a rimmed baking sheet lined with parchment. Bake for 8-12 minutes or until golden brown. Cool before serving. If serving hot, add the diced tomatoes to the soup and reheat. 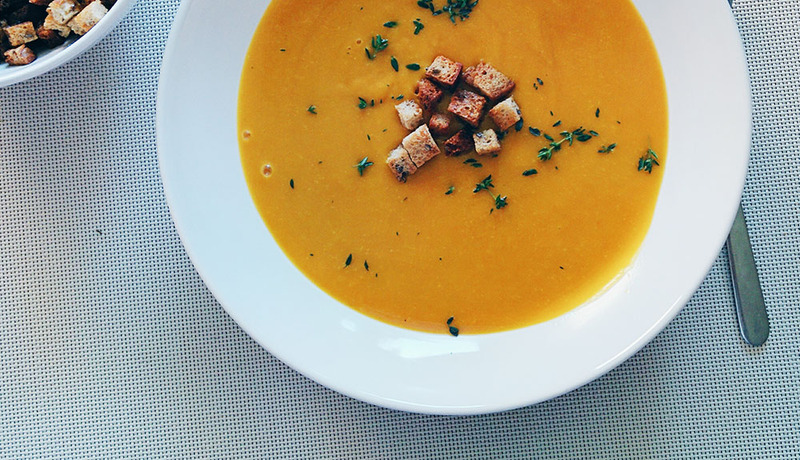 If serving cold, put the soup in bowls and decorate with diced tomatoes. Garnish with focaccia croutons and a cilantro leaf. Spread butter on the outside pieces of the focaccia. Assemble cheese, prosciutto, tomato, arugula and red onion onto sandwich. Heat olive oil in a pan over medium-low heat. Add the sandwich, then press a heavy pan on top to weigh it down. 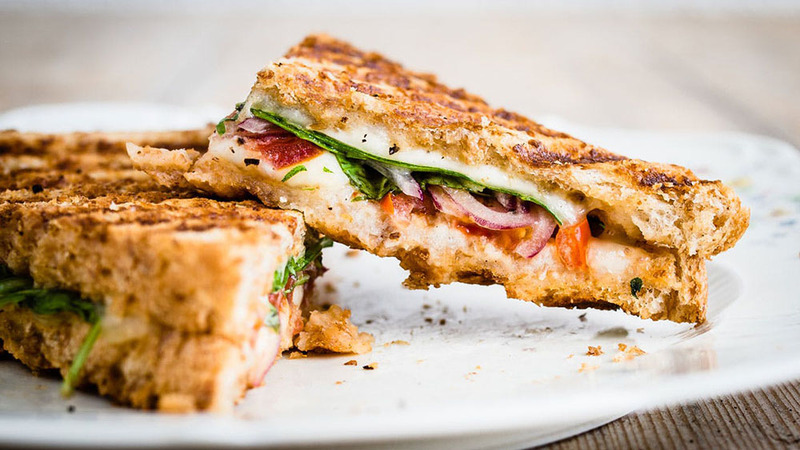 Cook the sandwich for 4 minutes per side, or until golden and crispy. Serve immediately.